Photo courtesy of the Hillcrest Christmas & Pumpkin Farm website. 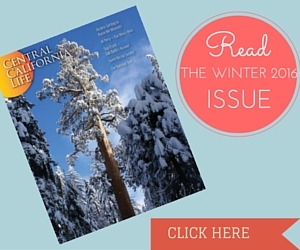 We recently featured Hillcrest Christmas & Pumpkin Farm in our Cen Cali Life's Fresno-Area Halloween & Pumpkin Patch Guide. As one of the few farms that have an actual train on site, the Hillcrest Farm deserved its own spotlight. Hillcrest Christmas & Pumpkin Farm is the oldest in the San Joaquin Valley. Founded in 1960 by Ed and Bonnie Toews (pronounced Taves) it has been at its current location ever since. The history of the railroad began with Ed if “fake” trains count. Some years back before the current family owned the farm, Ed began building a train to move people about the farm. 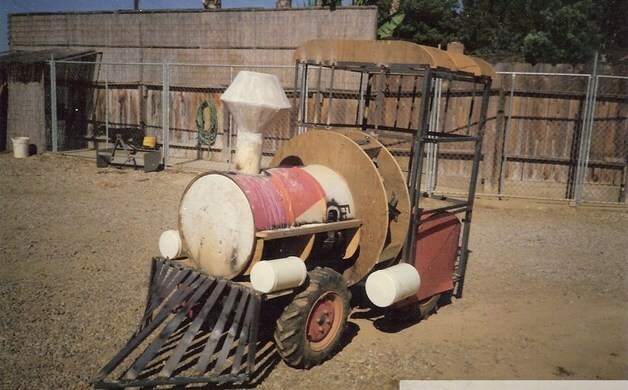 It featured his only and therefore his favorite, tractor with some serious decoration to make it look like a locomotive. 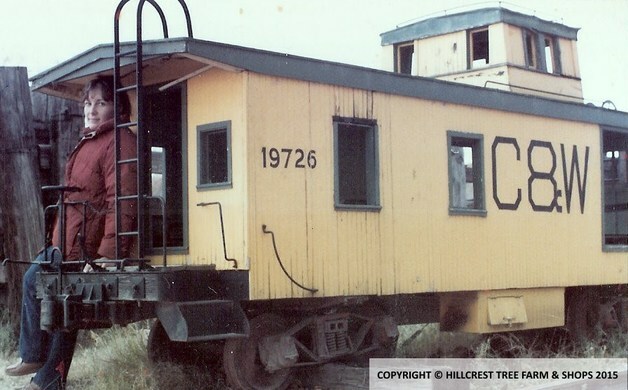 Ed built some cars and a caboose on trailers and the first Hillcrest train became operational. 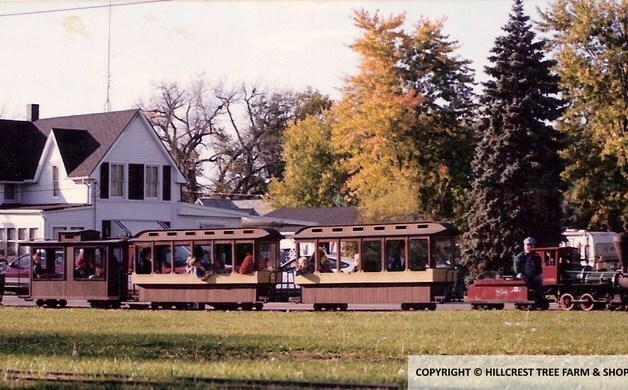 This train wasn’t limited to tracks and began running around the whole farm and was featured in some local parades. On the weekends, during the Christmas season, people could enjoy a train for a small fee. In February of 1992 the current owners purchased the farm from the Toews. A year after purchasing the farm we began to explore the idea of adding a “real” train. Wouldn’t it be cool to lay track to the different fields of Christmas trees and Pumpkins and use the train to bring the trees, pumpkins and guests back to the parking areas? This began their unquenchable thirst to find a train. In 1984 while stationed in Texas with the Air Force we discovered an old steam train in an abandoned amusement park in Carlsbad New Mexico. It was straight out of a “Scooby Doo” cartoon mystery. This was some years prior to owning Hillcrest, as a matter of fact this was some years before owning much of anything! Lis sitting on the porch of the caboose. They had inadvertently camped next to the parks back fence the night before. The train was a “Winton” (built by Winton Brown of Oakland CA.) It was two foot gauge of approximately 6” scale. The owner, was Pete Pelletier, he had commissioned the building of the train and wanted to sell it to us; on the spot; for a very good price. Being militarily poor they couldn’t afford the $40,000 he wanted for the locomotive, 5 cars, caboose and 1.5 miles of track. It was a bargain even back then, but they just couldn’t spend two years income on a train there was no place for. 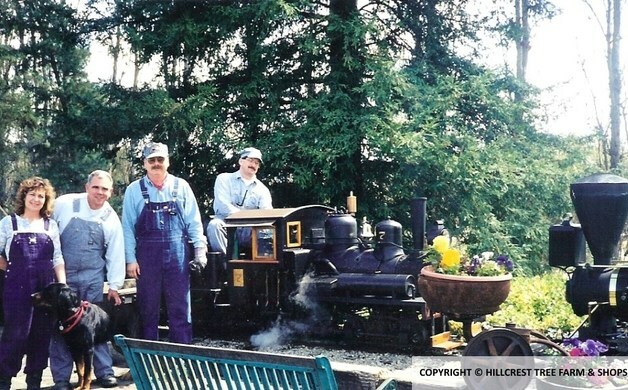 In 1994 after so much searching and bugging people that were locomotive-savvy, they bought their first “real train.” It was a “Crown” locomotive with 4 cars, found in the classified section of a railroad preservation magazine. This little train had been in several parks over its life time and was sitting on concrete in a barn. The "Crown" before Hillcrest owned her, notice the high cars. The top to these cars was removed once the train arrived here. With the proceeds from the sale of the Crown they began designing and fabricating the tools necessary to make our their cars. Just as things happen, another railroad of 15” gauge and 5” scale lent them their “Shay” for a year if they would repair her boiler and firing issues. Jump forward to today, after many trials and tribulations and through the help of John Bishop, their resident professional engineer, the Hillcrest & Wahtoke Railroad began an extensive training program overhaul. Though invisible to the guest’s eye, this was the largest, most extensive improvement to the railroad in its history. Training syllabuses had to be written. Rules of the railroad had to be published; maintenance logs had to be started. 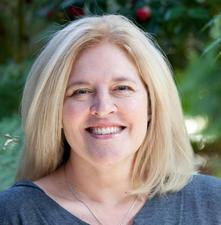 Standardization of evaluators, tests and performance guidelines all had to be created. The process to become a fully rated steam engineer through the H&W system is a serious and lengthy process. To date there are 10 certified steam engineers and 2 diesel engineers that can haul the public. View the map below to see the current map. Hillcrest & Wahtoke Railroad will be open to the public with the steam trains running every Saturday & Sunday in October from 10am - 5pm during Pumpkin Patch! Visit their website for more information about the farm.